A few months ago I wrote about how to fix Google Home’s shopping list when I ran into an unusual error. Two weeks after that post, Google removed the shopping list’s integration with Google Keep entirely. It now saves your shopping list to a weird isolated Google Express webapp, which notably has no offline access. Without offline access, I can’t use the shopping list in a number of stores with poor cell signal. But there’s a fix! Thanks to the magic of IFTTT, you can hijack Google Home’s voice commands and do something else with them instead. I wrote some applets there that save my shopping list items to the Todoist app instead of the Google Express webapp. 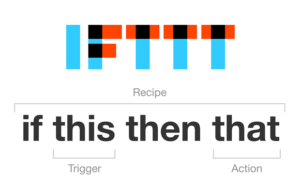 Create an IFTTT account, link it to your Google and Todoist accounts, and you’re off. Note that you’ll need to set up both applets to get it to work with more variations on the voice command – IFTTT doesn’t let you specify enough variations in one applet alone.